Termite Control Orange County: What To Do About Termite Damage? 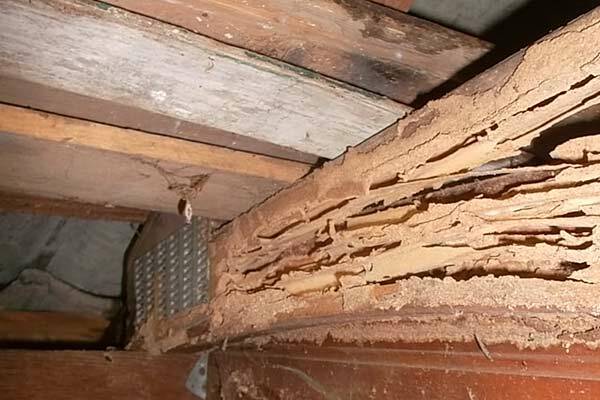 Let’s look at some structural elements that are common sites for termite damage and what to do about termite damage when confronting each of them. When a colony matures and produces reproductive termites, workers create small holes to allow them to exit. Locating these holes can assist in identifying the location of a termite infestation. Repairing them involves scraping the upper, infested wooden surface away with a chisel. The scraped site needs sanding to create a smooth surface. Then, strengthen the site with wood fillers. Polish again to ensure that the fillers remain secured in their position. Wood fillers and finishing products come with easy-to-follow instructions that can make the process doable even for the unhandy. If you have more questions about what to do about termite damage or if you are in need of a San Diego termite exterminator or termite inspections and control in Los Angeles, call Hi-Tech today!